How will Mini Holland deliver change? “Villagisation”: In the central Walthamstow area the introduction of ‘modal filters’* which will calm local streets by reducing motor traffic rat running through residential areas, but allow pedestrians and cyclists to travel through unimpeded. There will also be opportunities for improvements to some residential streets, such as new tree planting, cycle stands, improved pavement and road surfaces, public seating, and ‘pocket parks’. 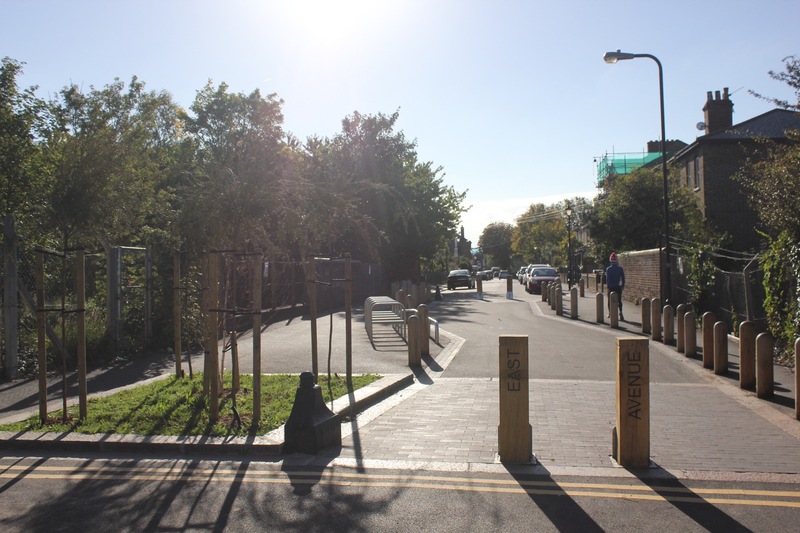 A ‘Cycle Super Highway’ running the length of Lea Bridge Rd offering protected space for people who cycle – alongside this will be improved pavements and safer, calmer crossings for those on foot, and a generally far more attractive & enjoyable environment. Improvements for those who walk and cycle in ‘secondary town centres’, and safer cycle routes linking them to Walthamstow, which will enable many more people to cycle around the area on more pleasant and safer routes. 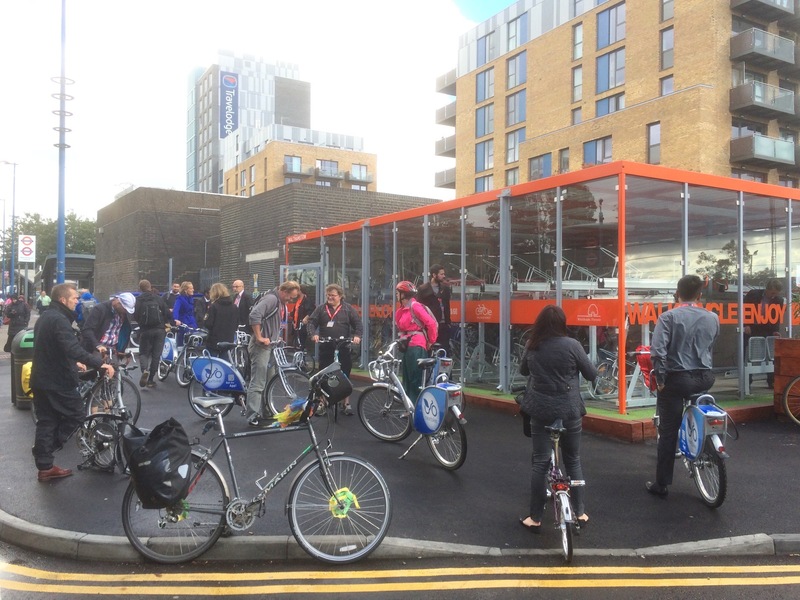 More cycle parking including secure covered cycle hubs at 8 tube and rail stations, and residential “hangars” for secure on-street parking. Training for adults and children: basic cycle skills, on road riding, and cycle maintenance. *A ‘modal filter’ is called a road closure by many, but this is technically incorrect as access to the road by all forms of motorised transport is maintained. Below are some more pictures of improvements already made in Walthamstow & Leyton as part of the first phase of mini Holland.